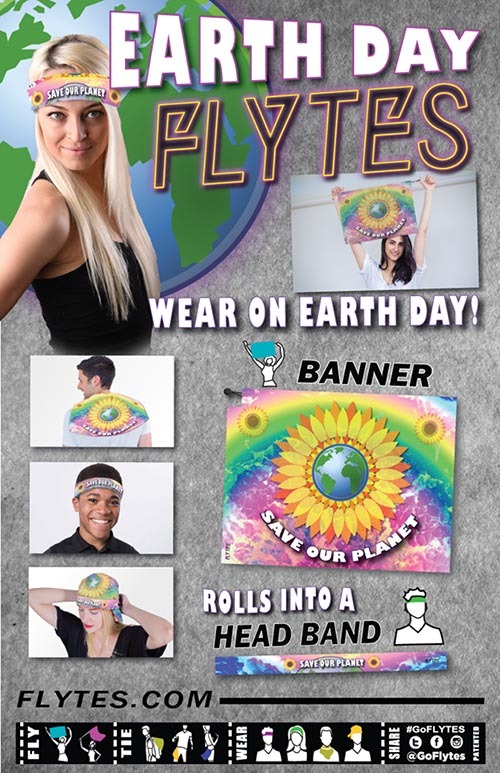 FLYTES are a great, versatile keepsake for EARTH DAY – the are also reusable! 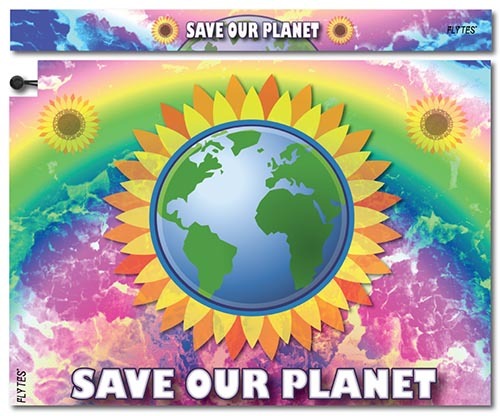 Don’t cut down a tree to make a poster- use a FLYTE! They can FLY on a flagpole, hang as a banner plus wear in 11+ ways!